Happy June! The weather is still a little strange here in NE Ohio, but it’s “officially” summer. The porch furniture is out and glasses of wine have been poured. 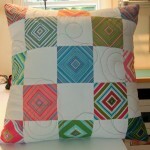 We live on our porch in the summer and that made me start thinking about redoing my cushions. I’ve been on a pillow kick lately trying a few new things. The first one is called Chopped Vegetables. It’s a pattern by Elizabeth Hartman. 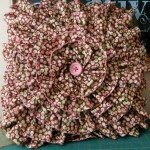 She offers 4 different versions to the pattern. She also gives you great directions for putting in a zipper. 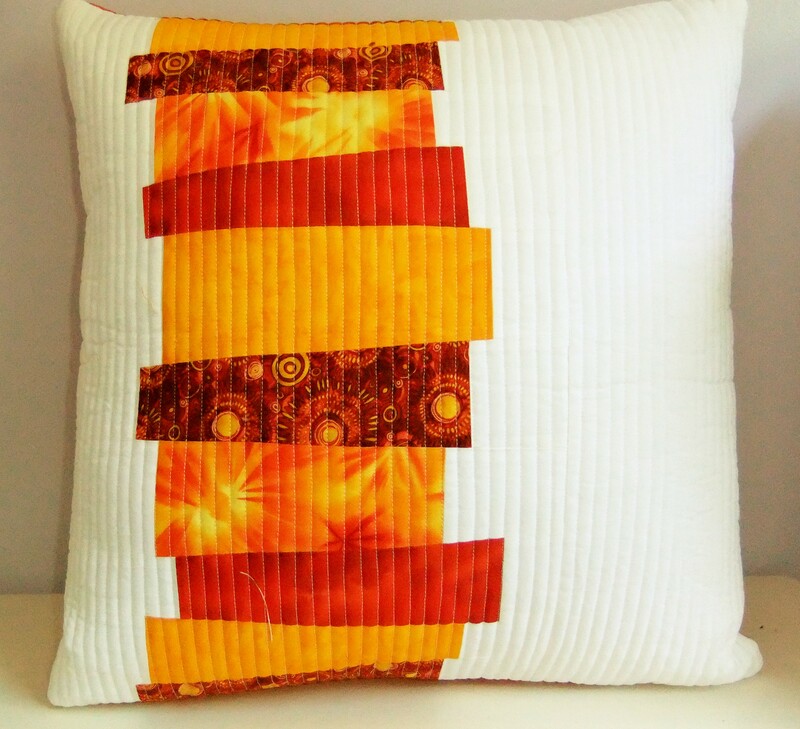 I’ve seen the pillow done in tradition fabrics to batiks to novelties and they all looked different depending on your taste. A really fun project. 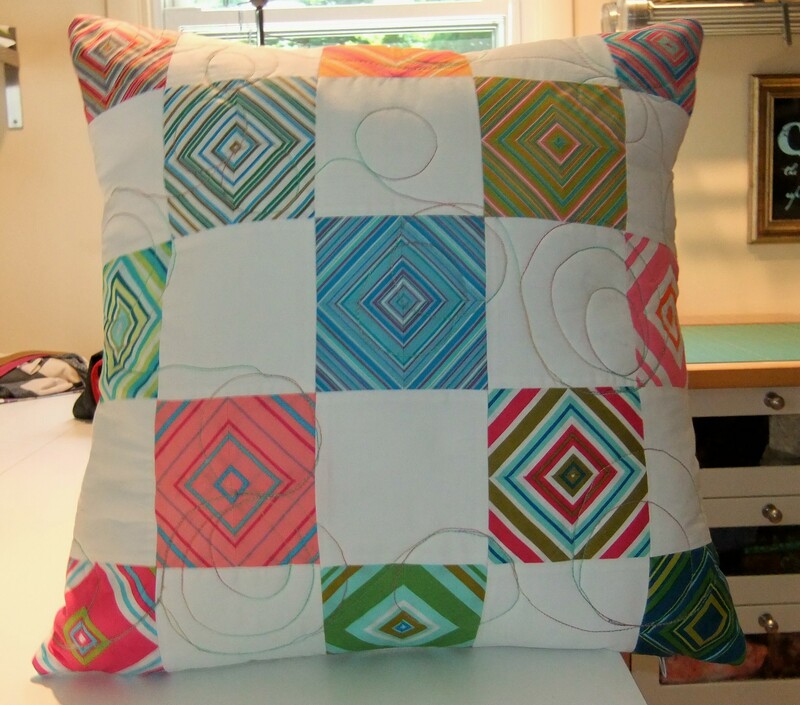 Next up is one that was a web bonus from McCall’s Quilting Magazine called Up Town Stripes. 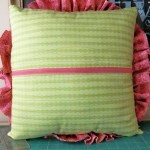 You use striped fabric and cut 4 blocks on the bias. Then you sew the 4 blocks together to make the optical illusion of the diamond pattern. You need to be careful cutting and matching up the strips, but very cute. 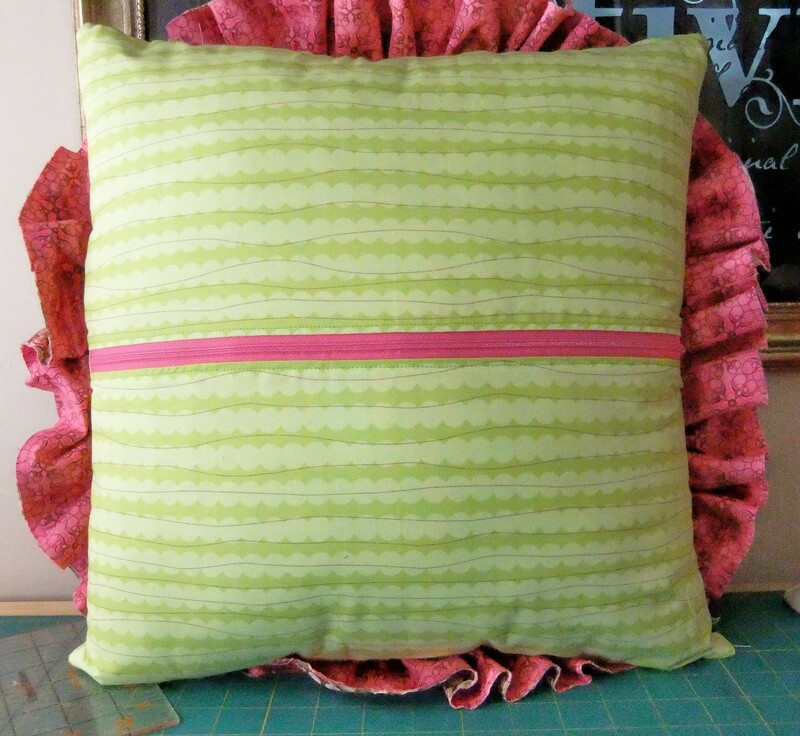 Lastly, is a ruffled pillow done on the serger from Husqvarna Viking. I used 2 fabrics, wrong sides sewn together and left it raw edged. Then use the serger to gather the fabric before sewing it to the base fabric. 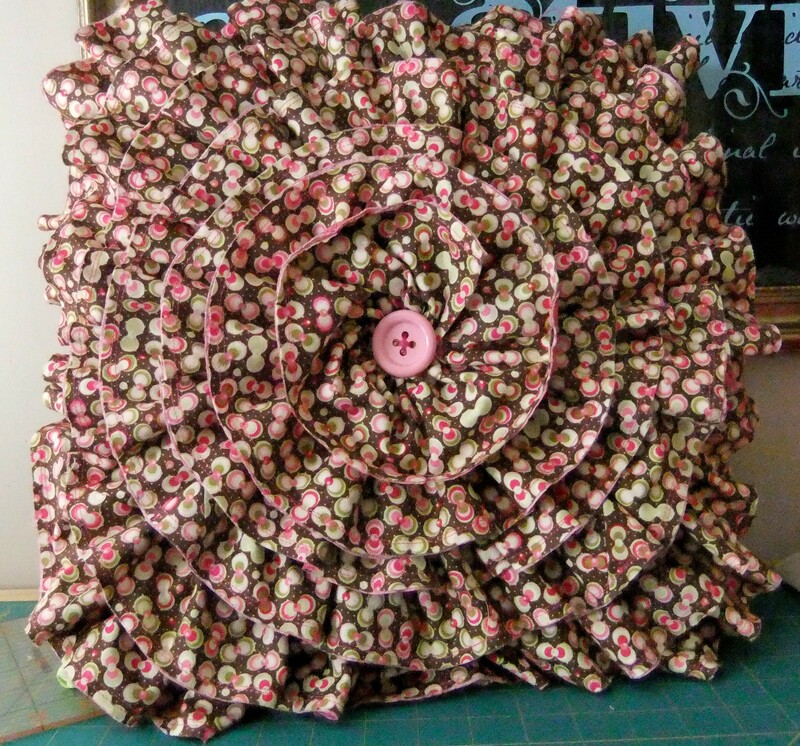 I also put in a contrasting zipper using the same insertion directions as given for the Chopped Vegetables pattern. It gives it a trendy shabby chic look, don’t you think? 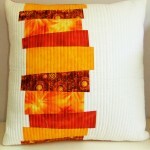 So take some time to sew up some new pillows and give your summer sitting area a fresh new look!